Curtis Francois, owner and president of Gateway Motorsports Park in Madison, Illinois, was honored this morning at Explore St. Louis’ Annual Meeting & Hospitality Hero Recognition at the America Center in downtown St. Louis. 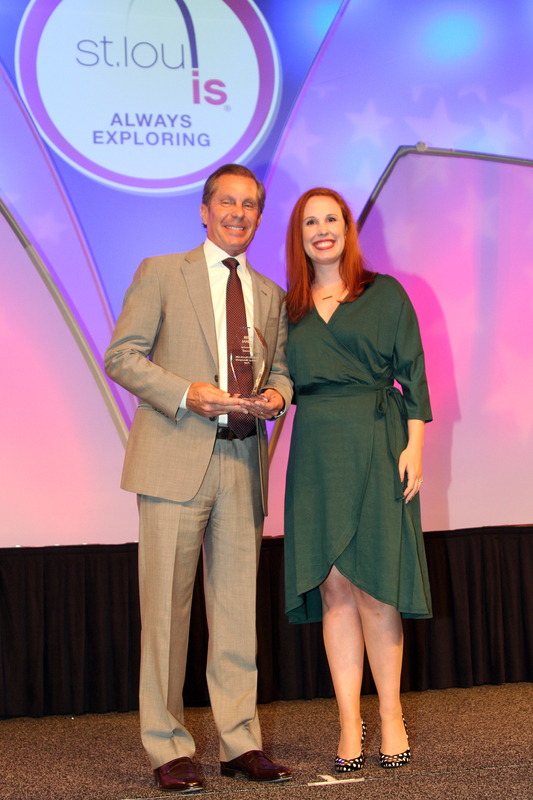 Francois received the Innovator Award in recognition of his work in restoring the Gateway Motorsports Park to prominence, including the return of INDYCAR racing to the St. Louis region. The award was presented by Hospitality Sales and Marketing Association International (HSMAI) board member Erin Jackson.